NW corner of Finley & Roosevelt Rd. but trust us, you do not!! Important people, and everyday people like you and I chose to build their lives and businesses in Lombard resulting in a culturally diverse and economically vibrant community today in 2019. Dry goods, dram shops, livery stables, blacksmiths and feed stores gave way to a very different array of establishments such as we are accustomed to in 2019. 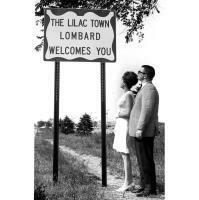 Come and hear about how things got started, and the progression of the early days in Lombard. Sarah Richardt from the Lombard Historical Society will be giving us loads of information and back stories on early Lombard and the start of Lombard's first business community. We promise you that it will be an extremely interesting presentation, and that you will leave knowing more about Lombard than when you arrived!